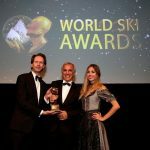 The world’s finest ski tourism brands have been unveiled at a red carpet gala ceremony in Kitzbühel, Austria. The leading figureheads, decision-makers and innovators of the ski industry gathered at the five-star A-ROSA Kitzbühel for the World Ski Awards 2018 to find out who amongst them had been crowned the finest in their fields. 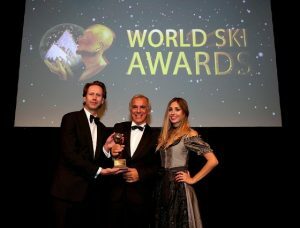 Winners at the gala ceremony included Europe’s highest resort, Val Thorens, voted ‘World’s Best Ski Resort’ thanks to its vast network of snowsure slopes. The perfect balance of contemporary design and Swiss tradition led to W Verbier collecting ‘World’s Best Ski Hotel’, whilst Chalet Les Anges in Zermatt was named ‘World’s Best Ski Chalet’. In the newcomer categories, understated luxury and home-from-home comforts helped Fahrenheit Seven Courchevel scoop ‘World’s Best New Ski Hotel’, whilst the unrivalled ski-in ski-out convenience of Chalet des Cascades (Les Arcs) led to it winning ‘World’s Best New Ski Chalet’. In a special category to acknowledge his pioneering work revolutionising the Argentine ski resort of Chapelco, Juan Cruz Adrogué [pictured above] was awarded the trophy for ‘Outstanding Contribution to Ski Tourism’.